AI Catapult, which is part of JD’s AI program, will partner with innovative blockchain startups to build new businesses and create and test real-world applications of their technologies at scale. 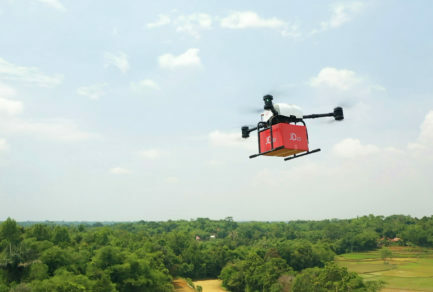 JD.com, China’s largest retailer online or offline, has launched a new accelerator, AI Catapult, for the development of artificial intelligence and blockchain technologies. Beginning in March, AI Catapult, which is part of JD’s AI program, will partner with innovative blockchain startups to build new businesses and create and test real-world applications of their technologies at scale. Participating startups will have the opportunity to work with a wide variety of operational teams within JD which, in addition to being the largest retailer in its home market, also operates the largest nationwide last-mile logistics network. JD.com is already a world leader in commercial AI applications developed by its engineers in China and at its rapidly expanding Silicon Valley lab. 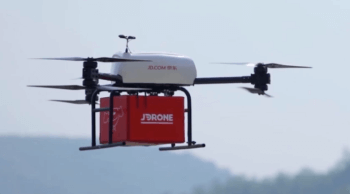 These solutions are deployed in JD’s drones, robotics, automation technology, smart supply chain, marketing and customer service applications that are among the world’s most advanced. The company also leads in the use of blockchain technology in supply chains and for product safety, through a supply chain transparency initiative that enables tracing for products back to their origin. Through AI Catapult, the company hopes to deploy these and related technologies even more widely and in more areas that will increase efficiencies and delight customers. AI Catapult, which will be based in Beijing, starts with an inaugural roster of companies that have already made advances in their field. They include the Chinese fintech pioneer, Bankorous; Australia’s cryptocurrency leader CanYa; Bluezelle, the blockchain-powered database service based in Singapore; London-based Nuggets, the e-commerce payments and ID platform built on blockchain; and Devery, a blockchain powered, open-source, product verification protocol. These and future members of AI Catapult will benefit from JD’s and each other’s expertise as well as the unique opportunity to implement their cutting-edge technologies across JD’s various business functions. JD, which has over 266 million customers, also expects to invest in the growth of the AI and blockchain ecosystem through future commercial, strategic and research partnerships. AI Catapult will also help JD’s AI research division find new ways to use AI to improve blockchain technology, with a particular focus in areas including scalability, security, privacy, efficiency and energy consumption that will bring not only business benefits, but positive social impact as well.